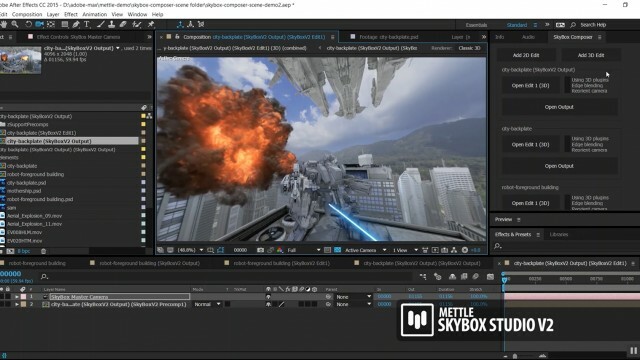 Watch Tim Montijo from unifiedpictures.com show how the easy 360/VR workflow can be using SkyBox Composer, a new module in SkyBox Studio Version 2. 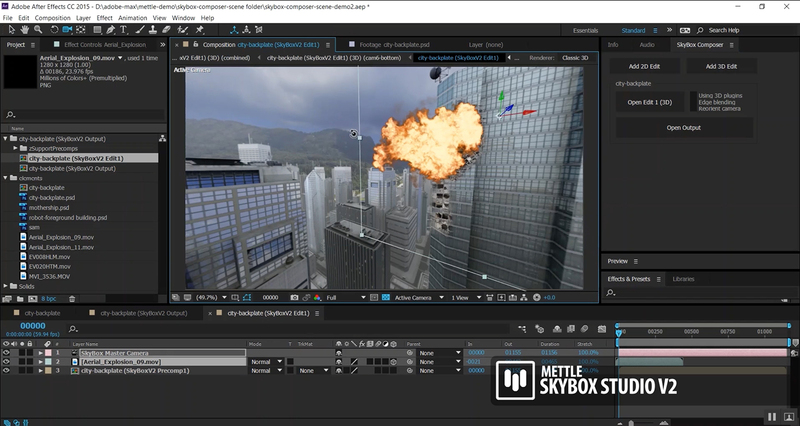 SkyBox Composer gives you a view-based edit comp in After Effects. That’s right… you can edit in the actual 360 view. 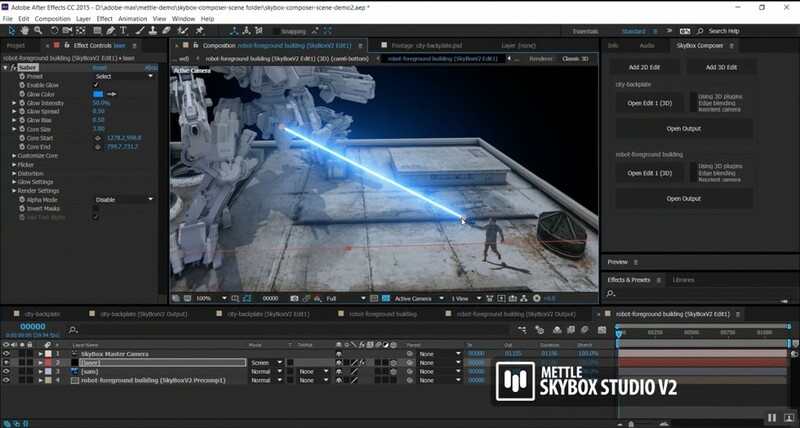 Using Composer, you can easily make place VFX where you want them to be to create cinematic VR experiences and 360 videos. 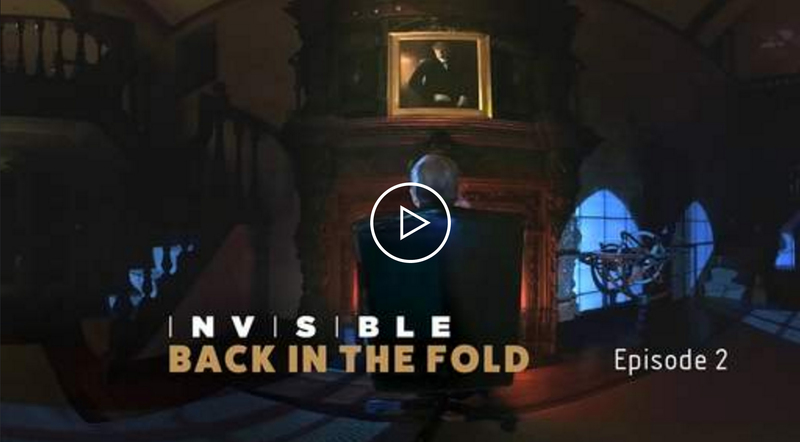 Tim shows how to add Hollywood-style VFX into your 360/VR production. He walks us through building a 360 scene from rendered spherical assets brought in from 3ds Max. Other assets used include flat fire footage, and a free 3rd party effects plugin. 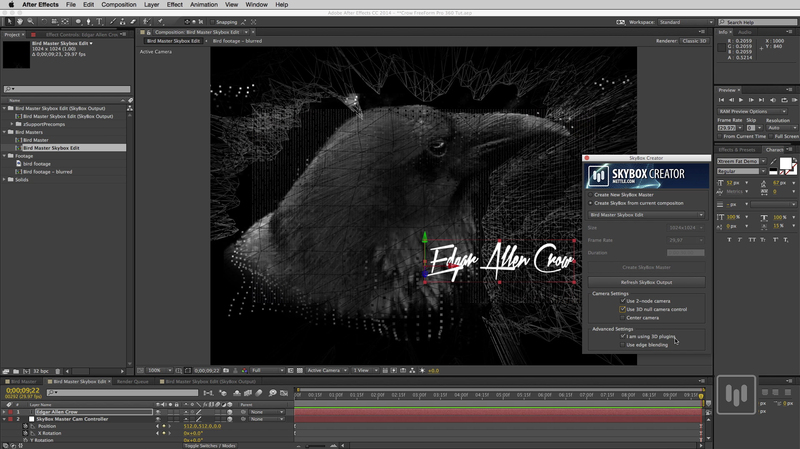 The View-based editing makes for a much more intuitive workflow in After Effects. 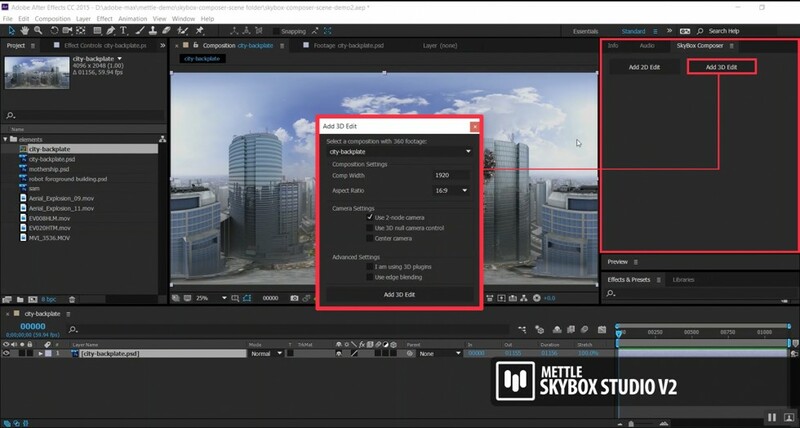 SkyBox Composer, a new module in SkyBox Studio V2, creates a View-based Edit Comp and an equirectangular Output Comp in After Effects. 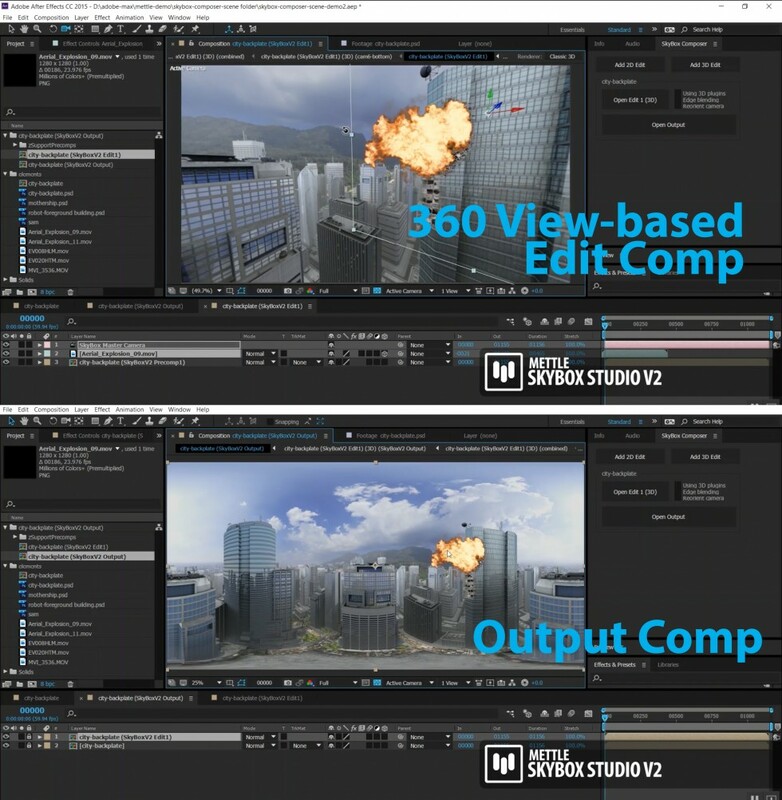 Make your 2D explosion “stick” to the 360 scene by selecting the 3D layer icon. 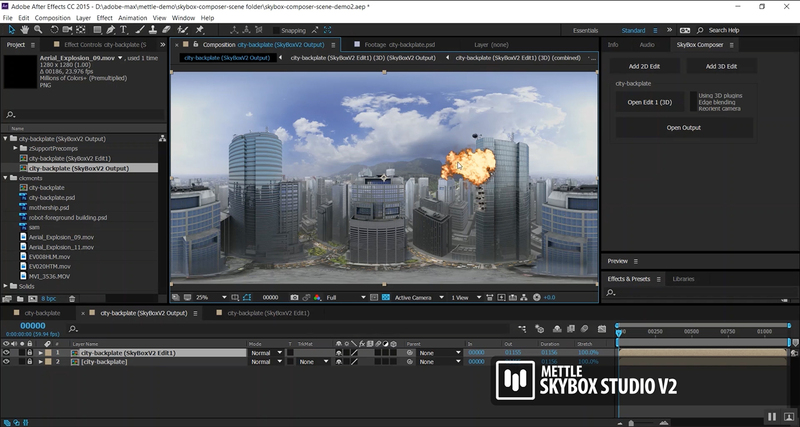 Layer in as many 2D explosions as you want. 2D chroma-keyed footage is placed on top of a 3D building, with a Video Copilot Saber effect as a laser beam. 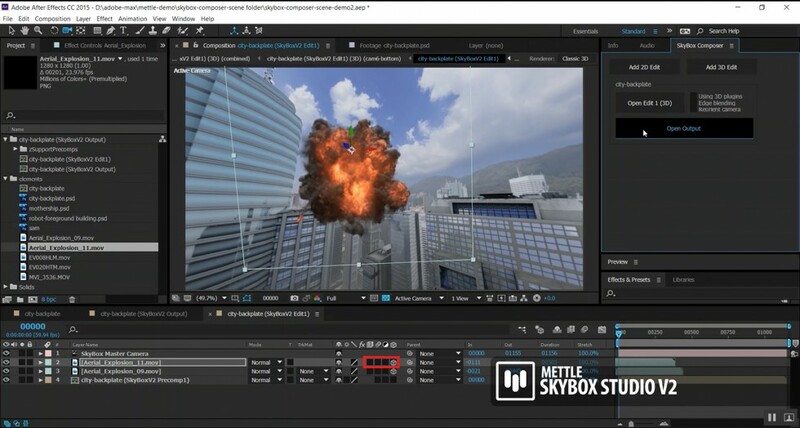 Render your SkyBox Composer Output Comp in 360 video format. Tim Montijo is a co-founder at Unified Pictures. He is also their most diversified artist and certainly one of the most productive, with experience as animator, producer, visual effects supervisor, director, composer and executive for various film and television projects. His range is so broad that he was invited to teach Visual Effect and Animation for UCLA’s Entertainment Studies Program. After co-founding the successful digital effects firm Electro Age in 2001, Tim Co-founded Unified Pictures in 2004.